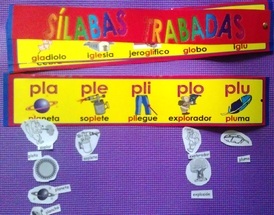 Visit The Learning's profile on Pinterest. Have Students bring items from home. 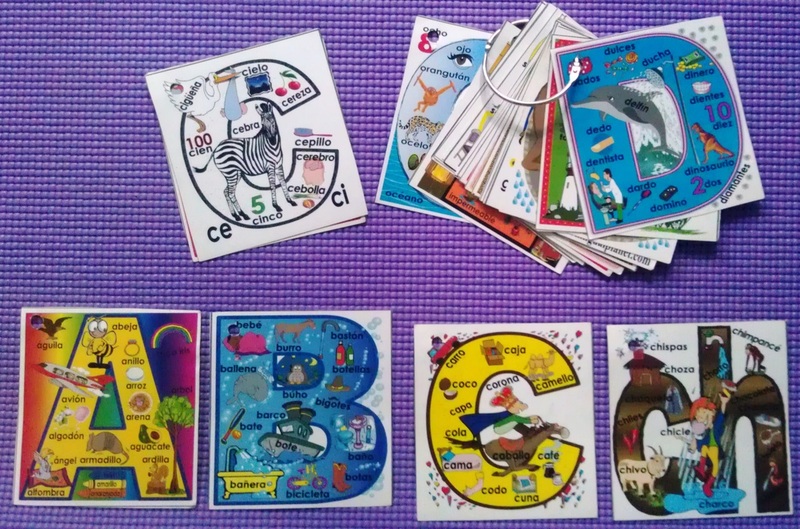 Keep their ABC collection in a shoe box and use them in a center. Use posted-notes/paper to write their words. 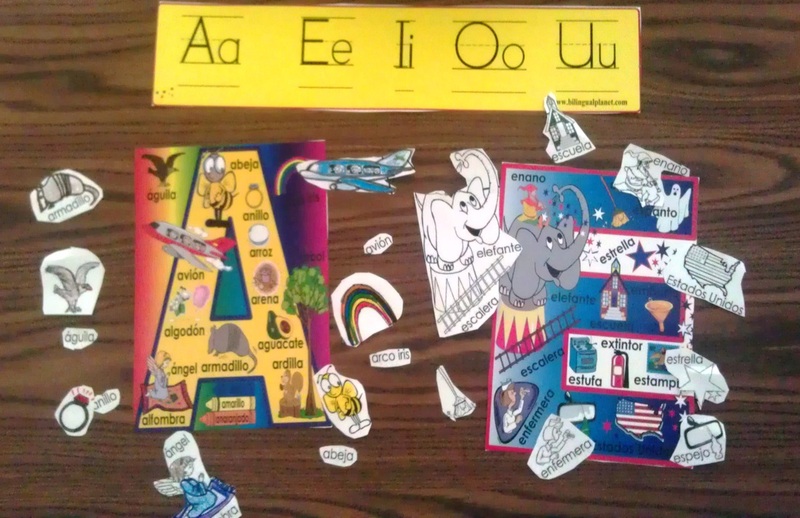 Put dictionaries and magnifying lenses next to the letter of the week. 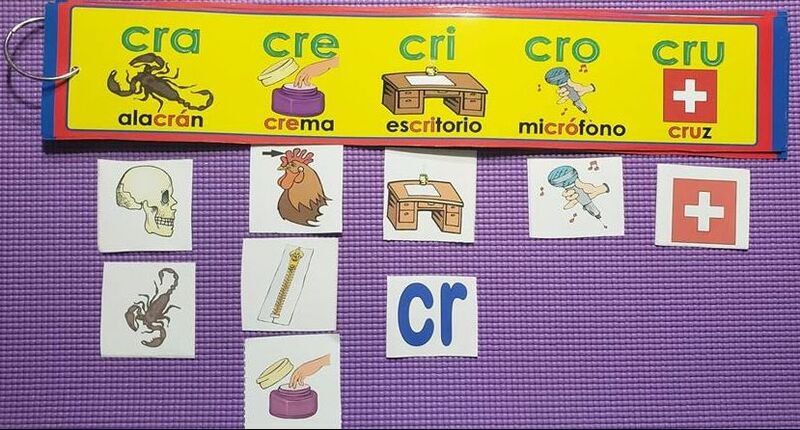 Correct words at the end of the weeks and give prizes! 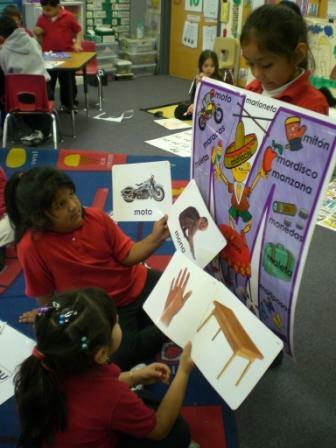 Short video demos of Large Poster use! 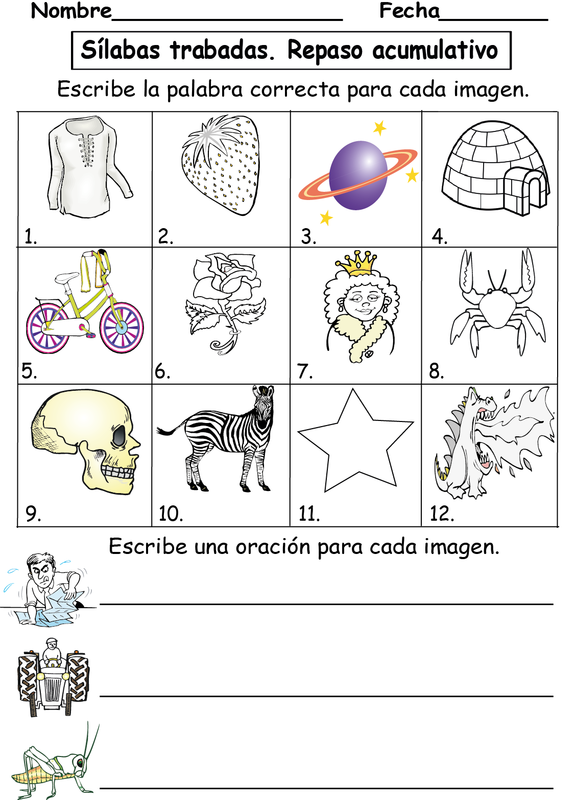 to create the small group activity below. 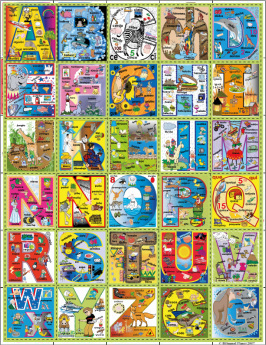 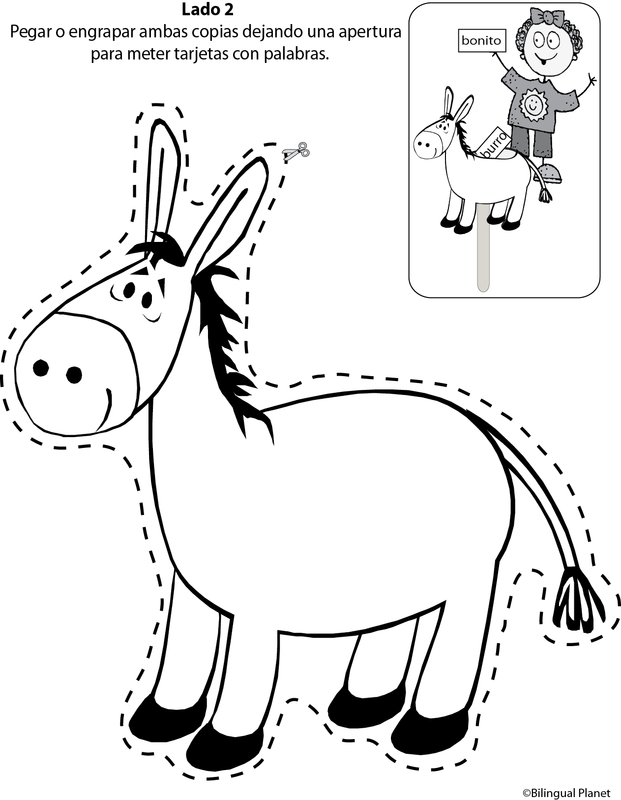 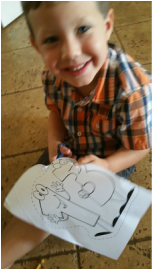 Posters may be cut and used during Small Group Time. 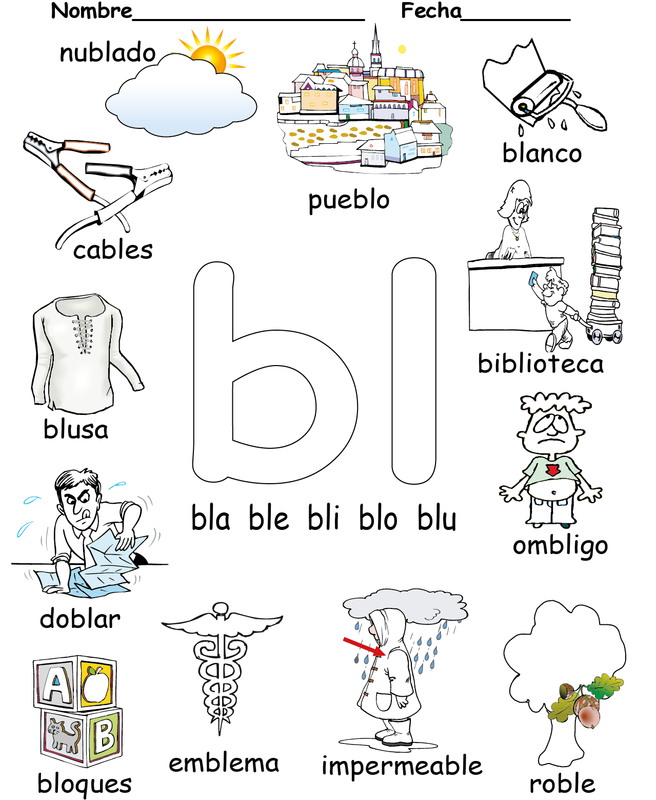 An 81 page reproducible of the blends in Spanish. 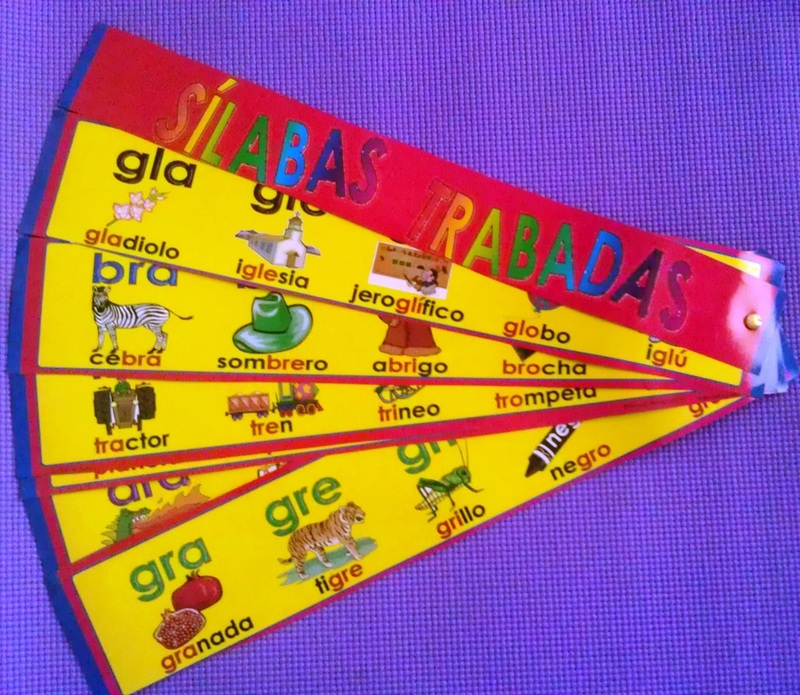 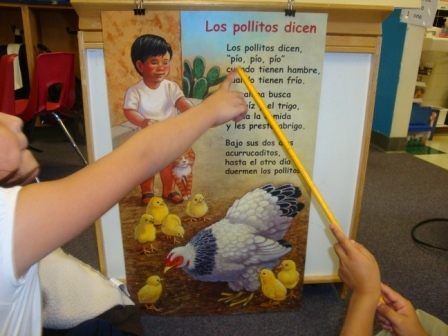 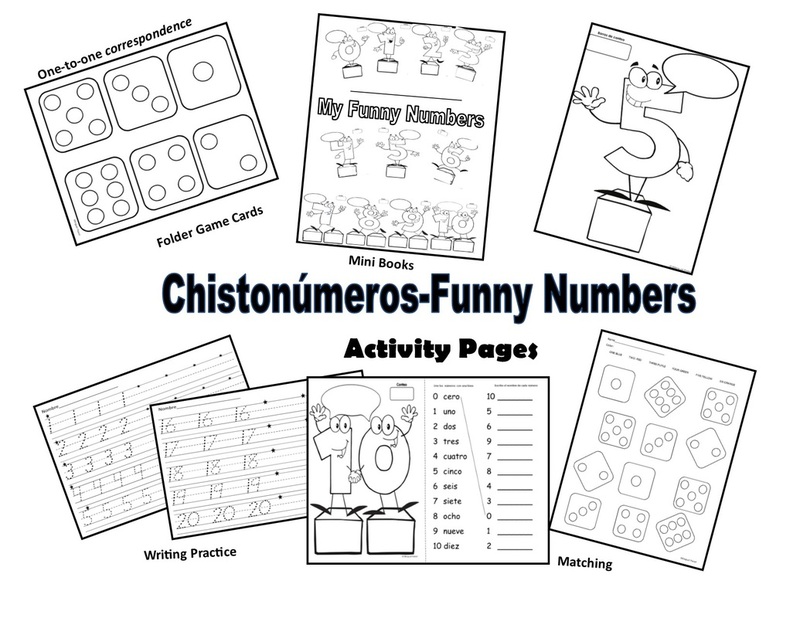 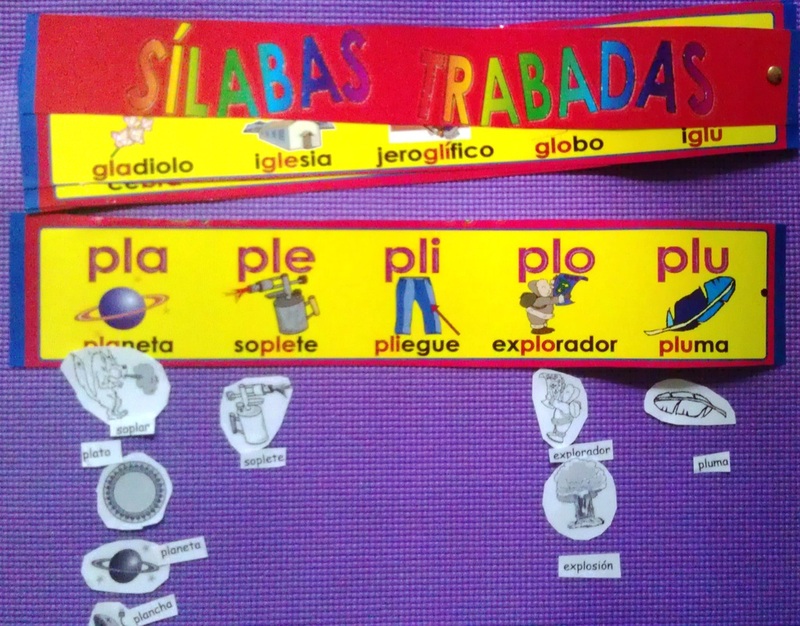 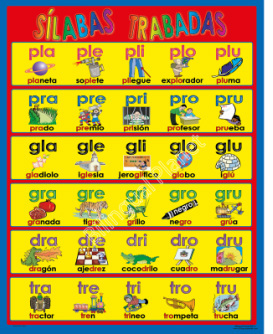 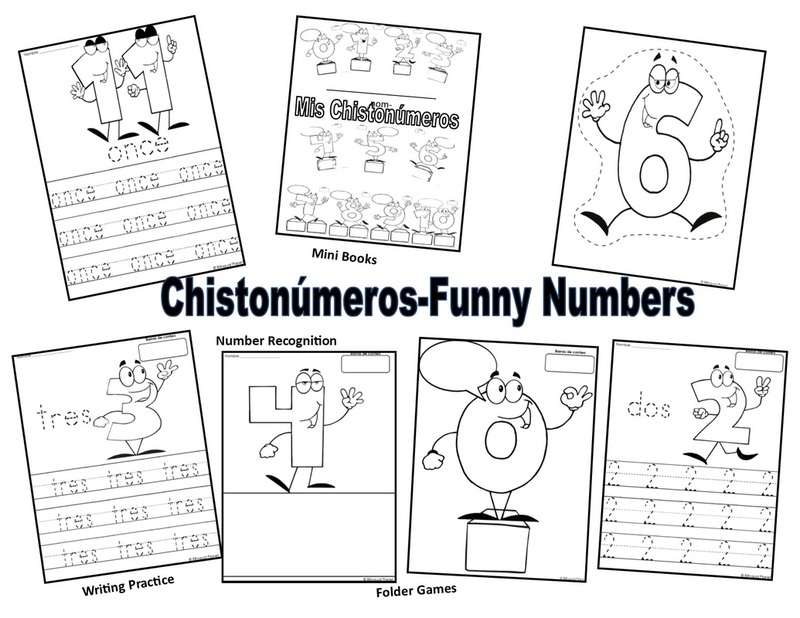 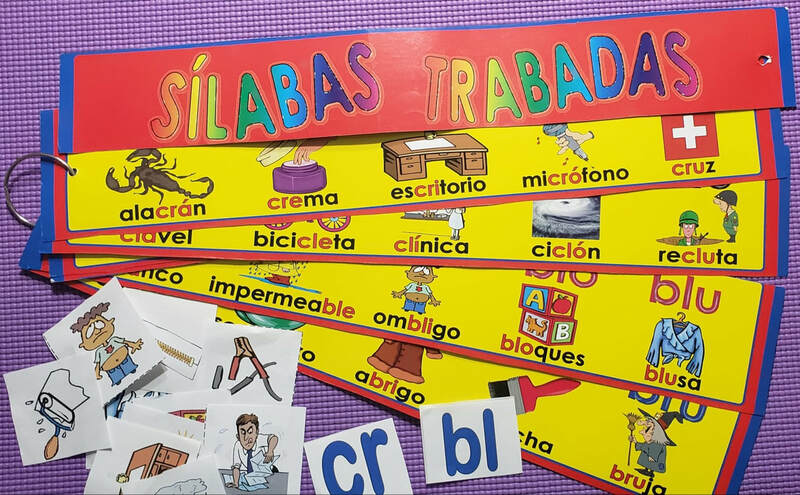 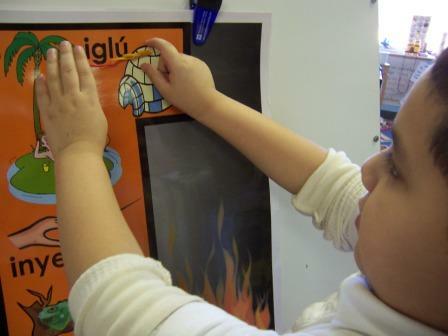 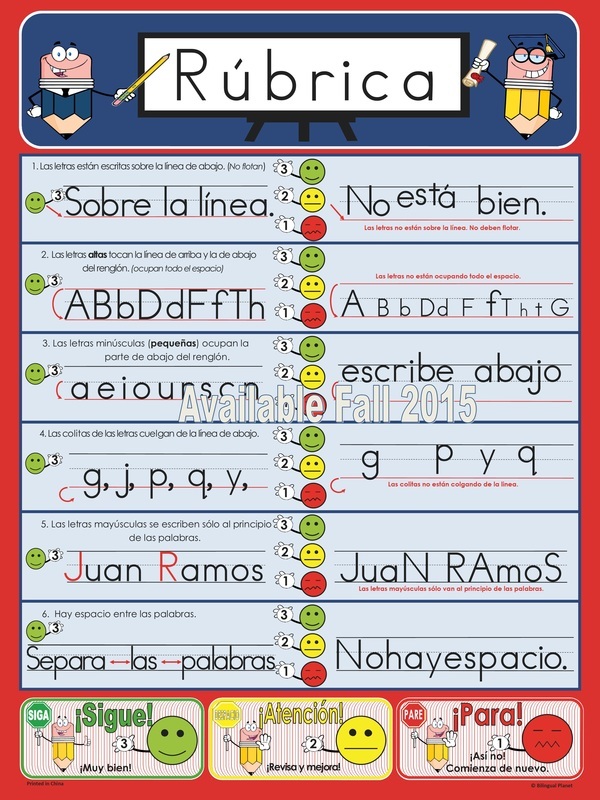 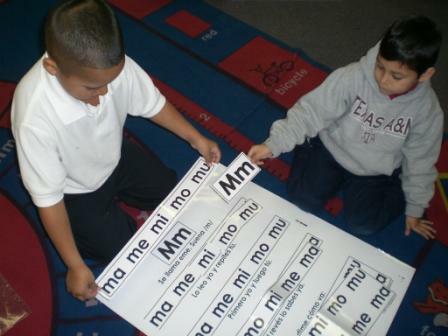 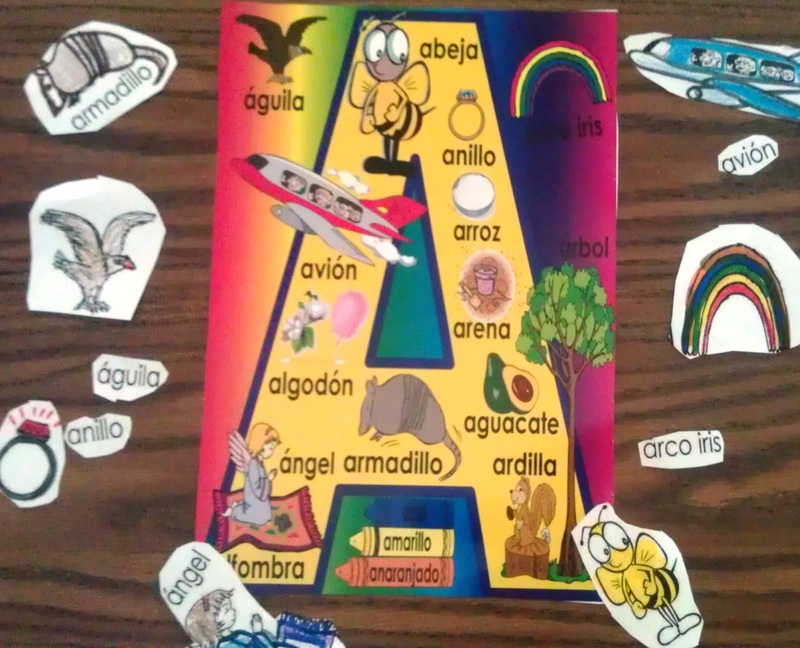 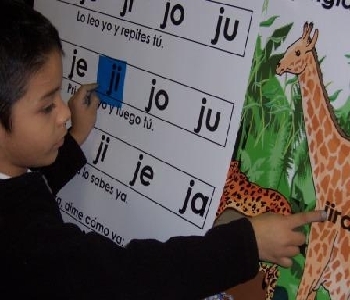 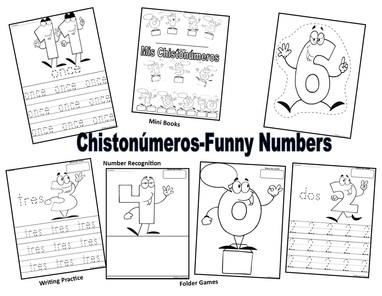 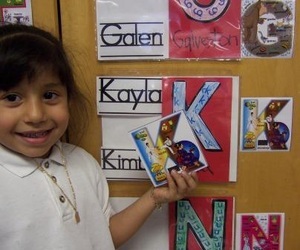 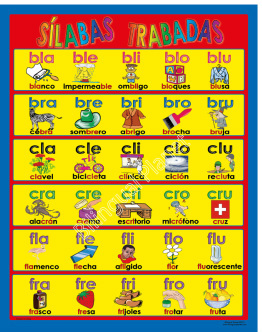 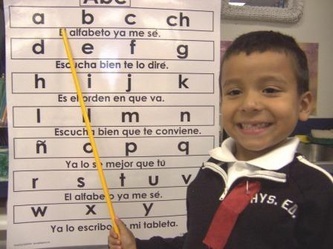 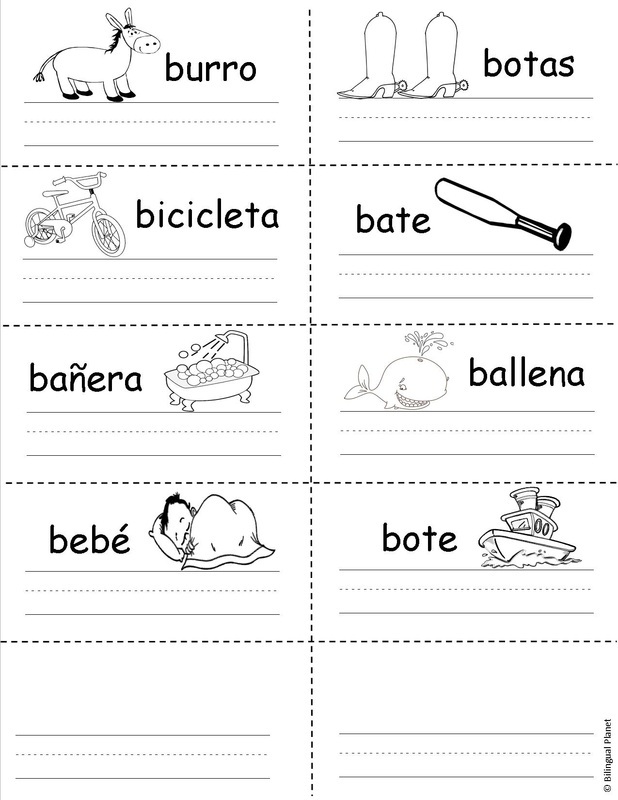 Cut the Trabadas poster and use with small group activities along with the reproducible pages. Two Sided Large 22 1/2 by 28 1/2 in. 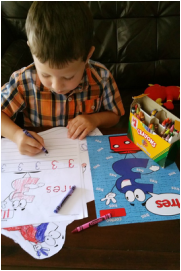 Colorful with fun graphics. 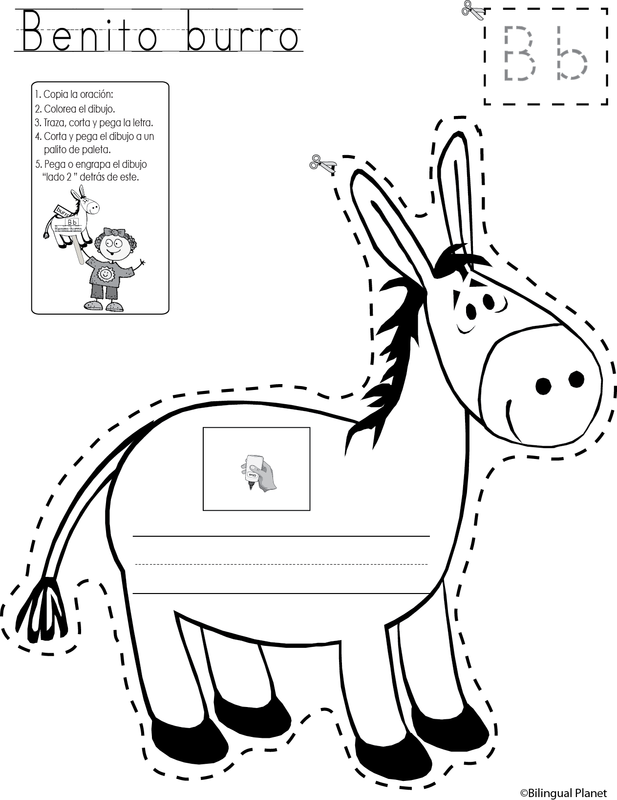 Can be cut and used in centers. 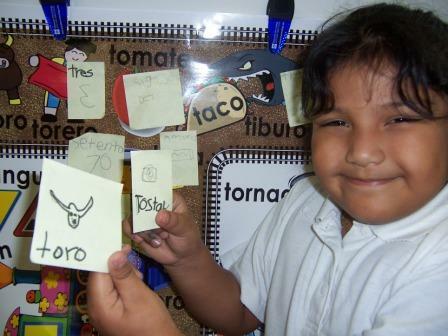 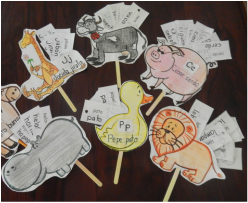 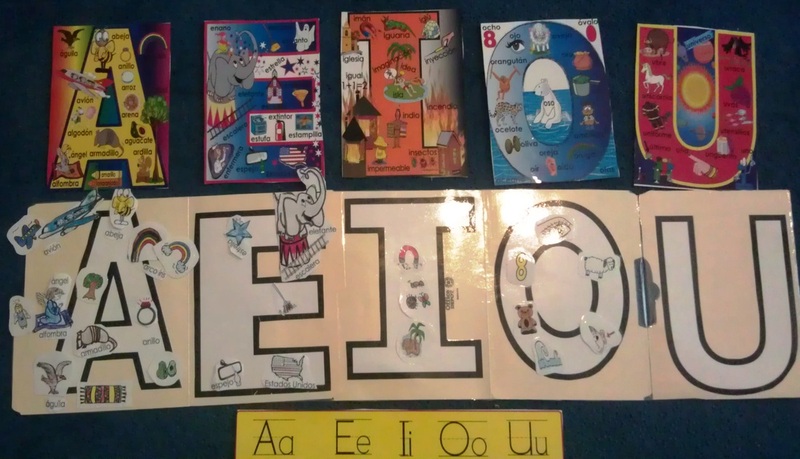 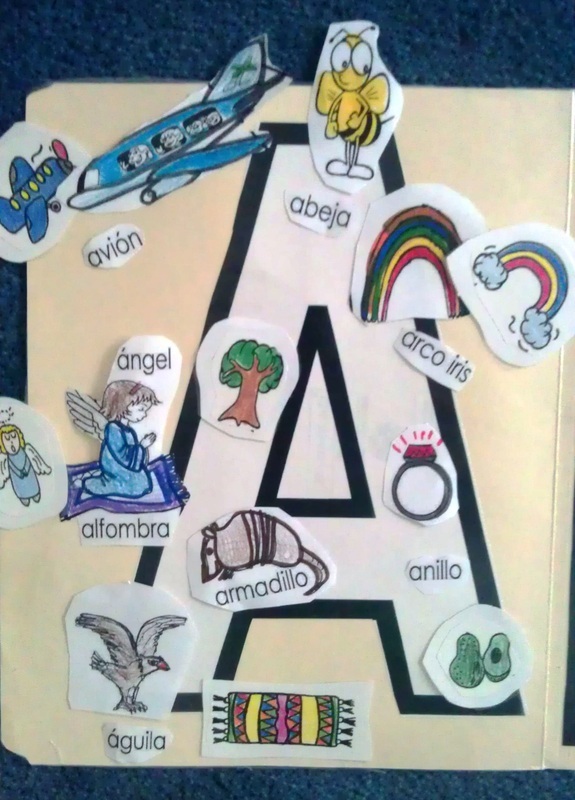 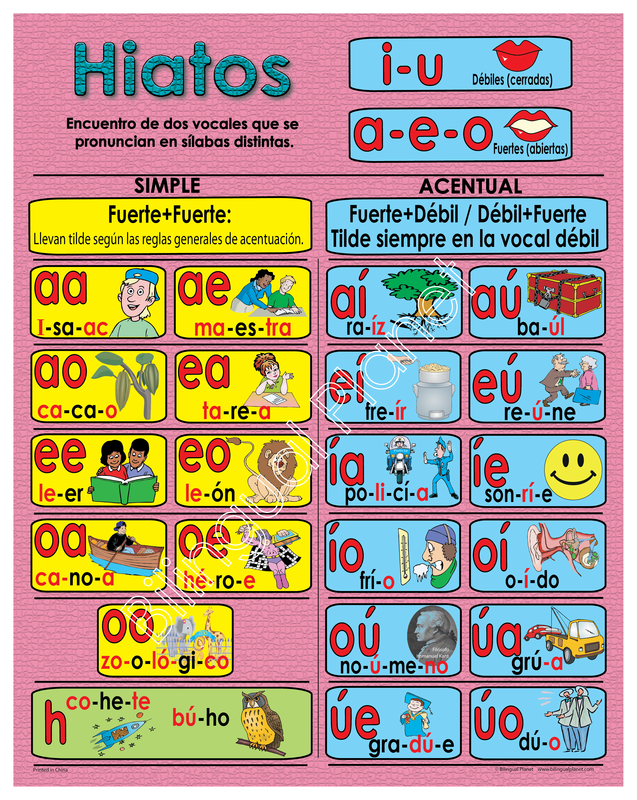 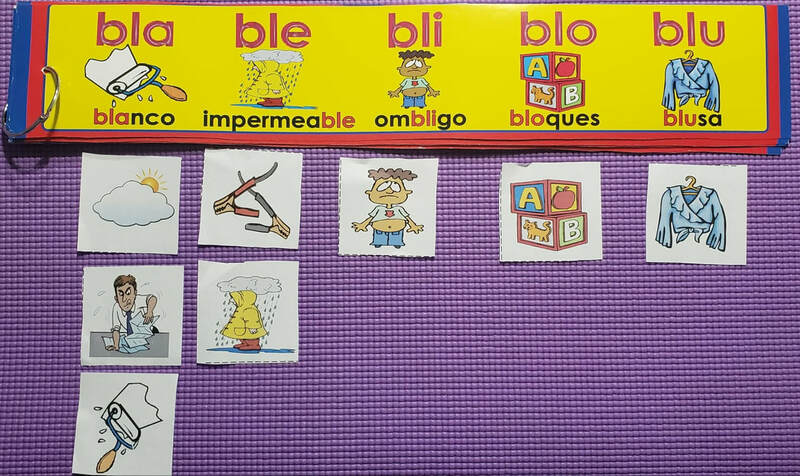 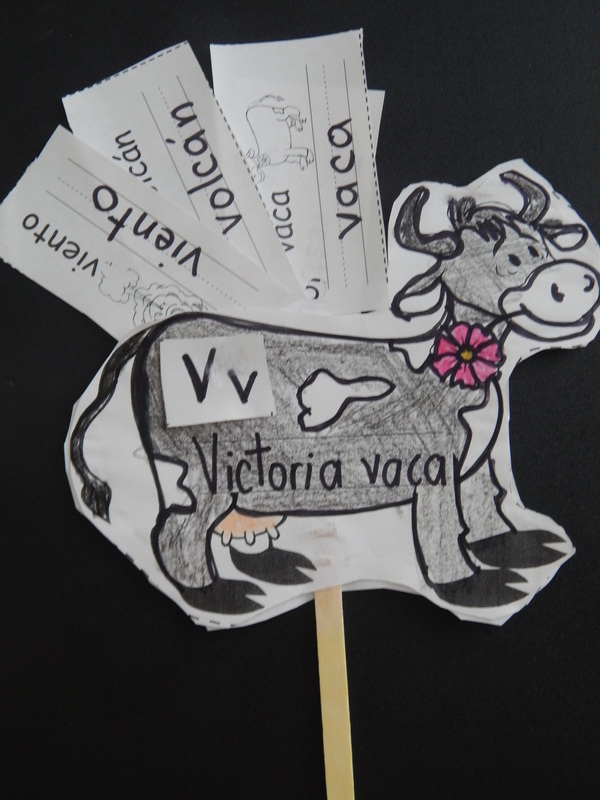 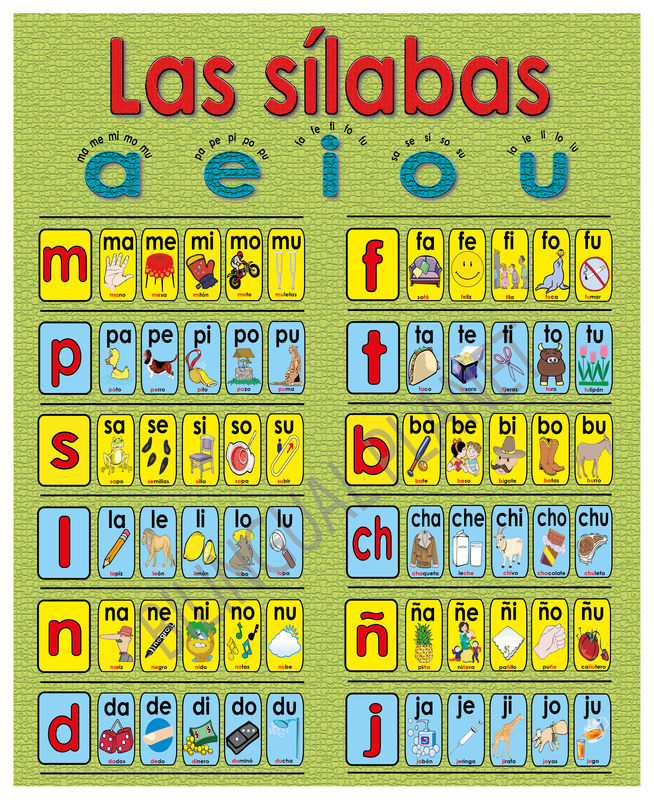 Fun and colorful practice of the vowels and syllables in Spanish. 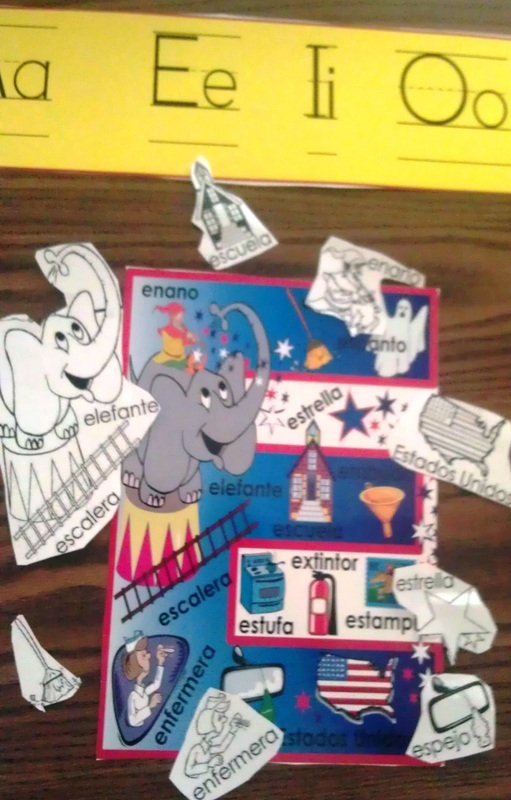 22 1/2 by 28 1/2 in. 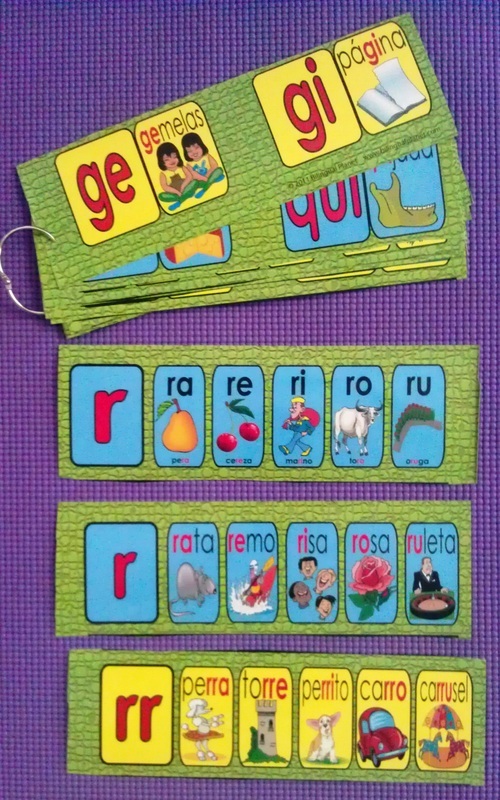 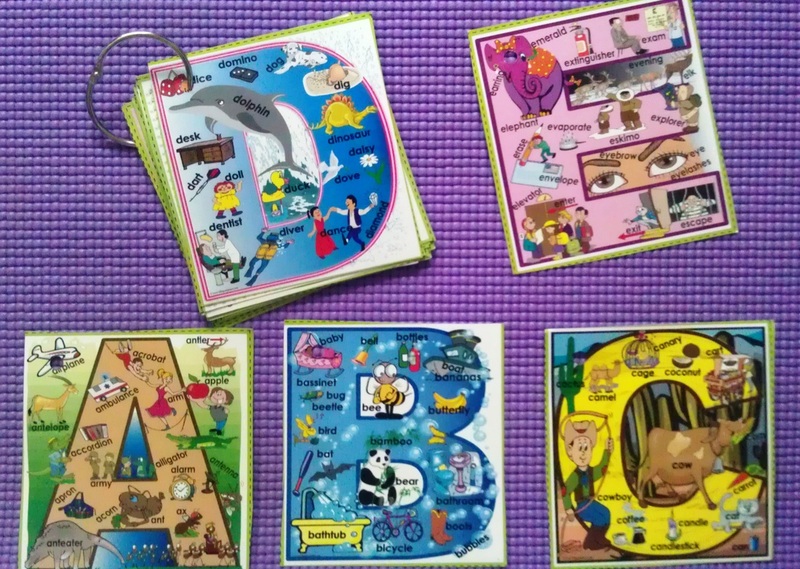 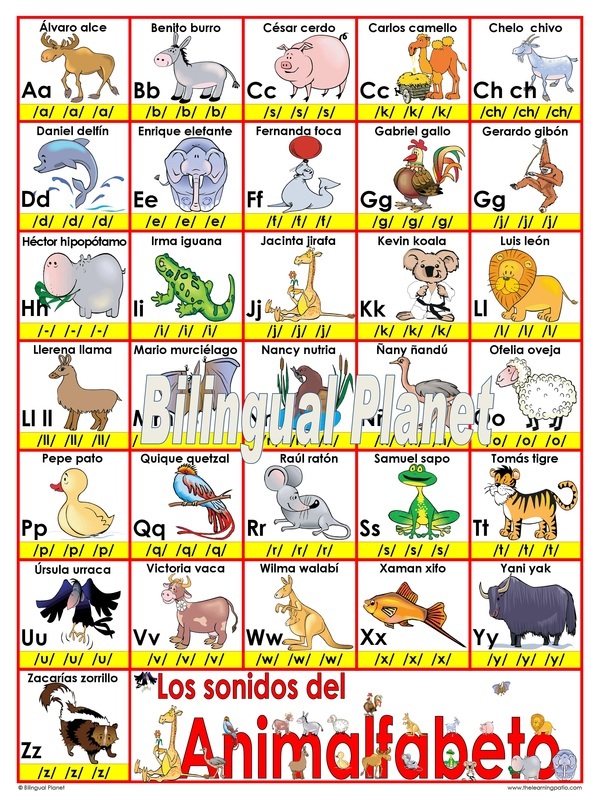 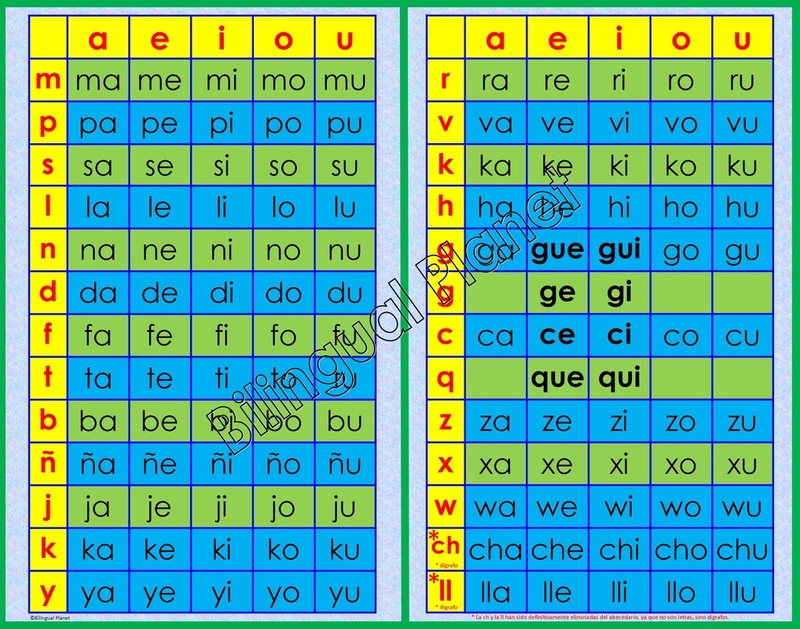 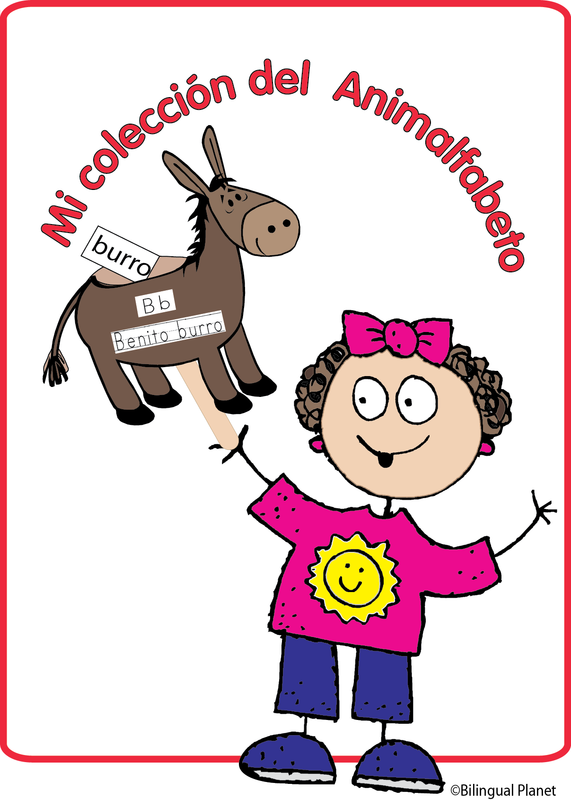 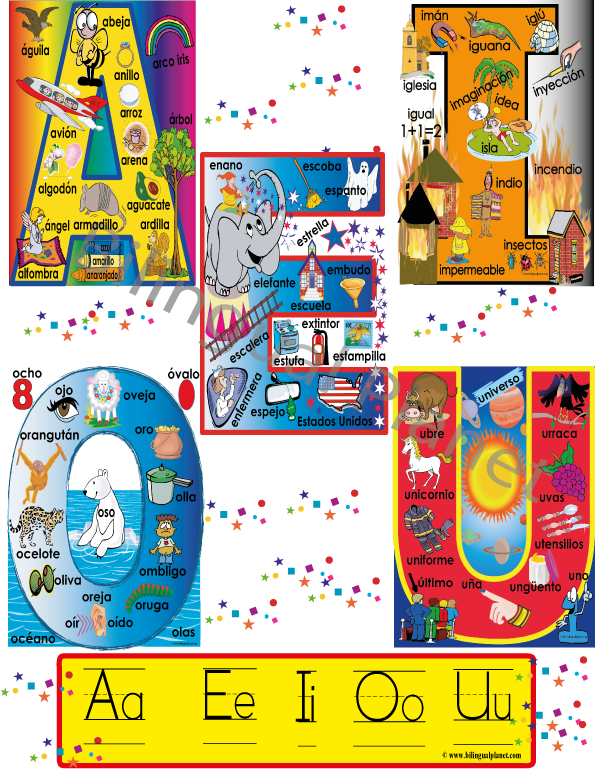 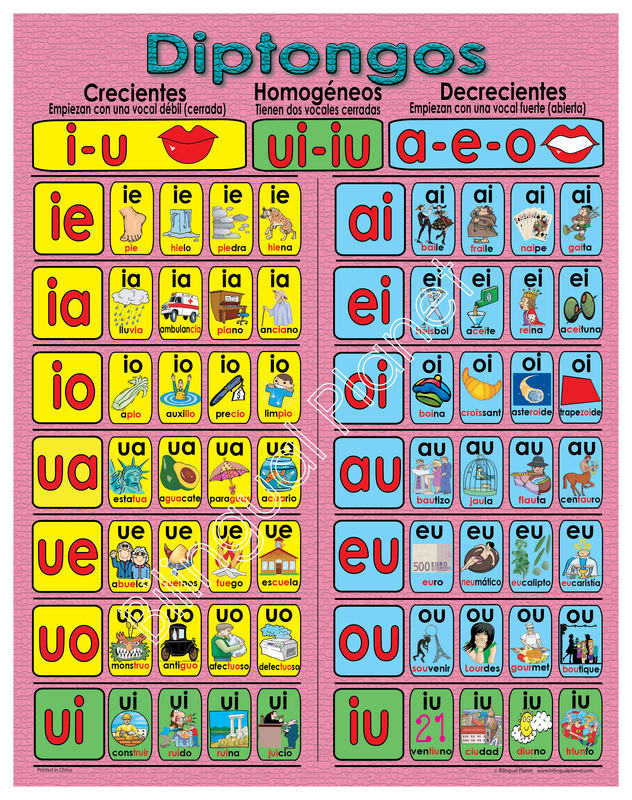 Practice all the sounds of the Spanish alphabet. 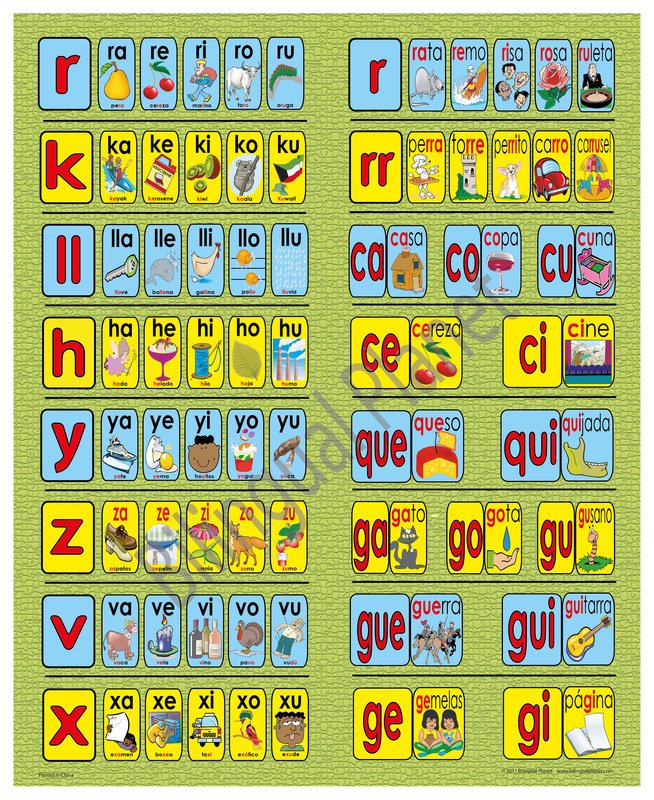 and word card for each letter. 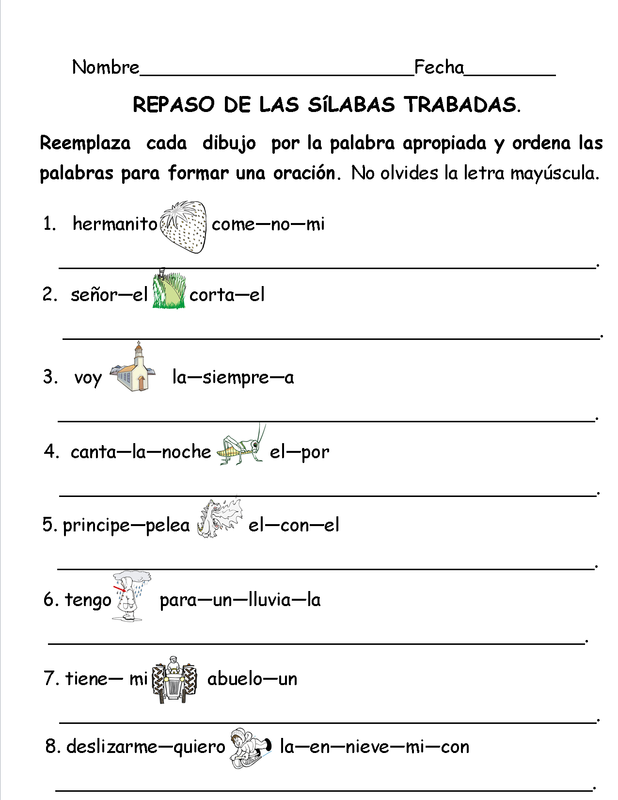 The Learning Patio An online subscription that offers all Bilingual Planet materials and thousands of pages more. 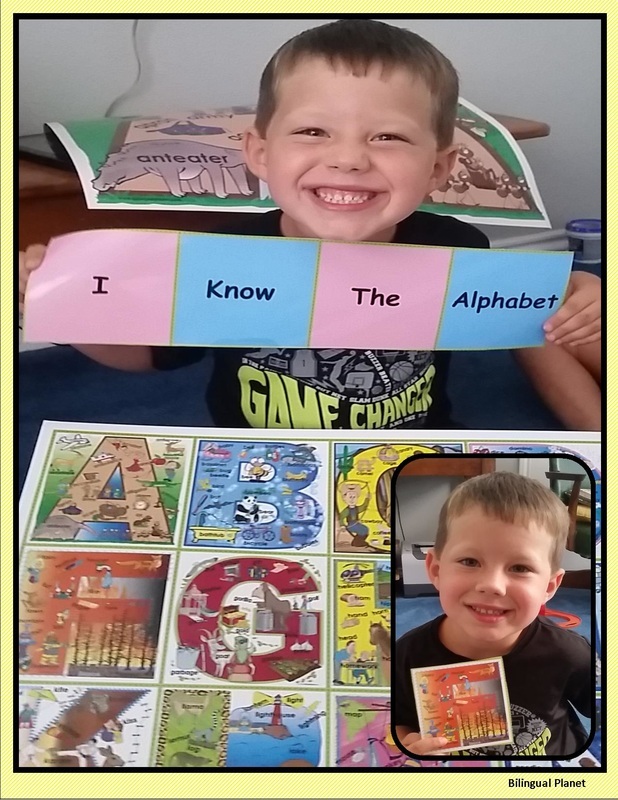 SEE WHAT'S NEW AT THE LEARNING PATIO GET FREE PAGES!